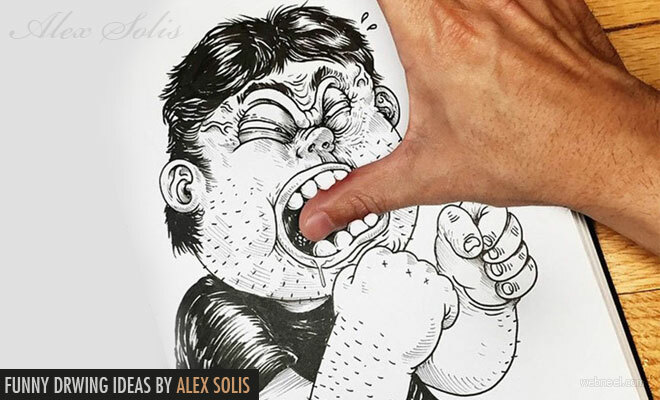 We have listed the funny drawing ideas and creative cartoon illustrations by Alex Solis. He is an artist, illustrator, character designer from Chicago. He is the owner and ceo of the graphic design company Oddworx. He is available for commission works and can be contacted through his website. Funny cartoon drawings are a favorite of Alex Solis, it keeps his humorous side very active. You can find more of his funny cartoon illustrations from his website.